← I’m Going to Lowryland! Something I’ve been looking into recently is the idea that the book of Genesis has, at least in parts, a bias against civilization. I don’t mean so much in the sense of polite behavior, but as in the more historical meaning, that of the rise of cities, brought about by agriculture. While we now tend to think of rural areas as farmland, it was farming that allowed permanent settlements to be built in the first place, as people no longer had to move around to obtain food. When Adam and Eve are expelled from the Garden of Eden, Yahweh pretty much immediately says that Adam has to till the ground to get food, and it would be difficult, time-consuming work. This 1996 article interprets the story as being about the changing role of men during the Agricultural Revolution. Basically, if agriculture was developed by women, as some scholars think, that largely took away men’s role as hunters, making them laborers instead. Women didn’t fare much better, as the larger population required to maintain farms meant they had to bear and raise more children. It was really this look at interpretations of the Cain and Abel story that got me thinking about the subject recently. There are several different possible takes on what the tale means, and it might well be a mix of ideas. I’ve written before about how Cain was likely the mythical ancestor of the Kenites, a nomadic tribe living in and around the Levant. I’ve seen it suggested that the concept of killing seven people in retaliation for the murder of one was a common practice among this tribe, although I’m not sure what the evidence is for this. Cain’s descendants were said to be tent-dwelling herdsmen, musicians, and metalsmiths. In fact, the names Qayin (Cain) and Qinim (Kenites) are similar to Semitic words for smiths. Moses’ father-in-law is described as a Kenite as well as a Midianite priest, and a hypothesis originating in the nineteenth century holds that the Kenites might have worshipped Yahweh before the Israelites did. But then, Cain is specifically identified as a farmer, as well as the founder of a city, which doesn’t sound particularly nomadic. So, as with most of the Bible, we’re probably looking at a few different traditions mixed together. Cain represents the Kenite tribe, but also metaphorically how farming won out over nomadic herding. This shift was gradual and difficult, and there’s some suggestion that hunter-gatherers were happier and healthier than early farmers. This tied in with Golden Age thinking, the idea of a time when things were much better than the present, and the people who developed these stories had romantic ideas about the days before agriculture. As with most historical developments, there were both advantages and disadvantages to the change, but the increased population meant there was no feasible way to go back. Obviously the idea of early humanity living in a paradise was exaggerated (and there’s no mention of hunting in Eden), but there’s still some sense to the association of agriculture with the trading of innocence for intelligence, and with violence. When I read this suggestion about Cain and Abel, it came to mind that a book I’d read, James L. Kugel’s How to Read the Bible (which also mentions the Kenites), mentions that the Tower of Babel story might also have an anti-urban bias. While Israel and Judah did have cities, I get the impression that they were largely rural and never all that densely populated, relative backwaters compared to some of their neighbors. They did have their own imperial ambitions, but the nation eventually fell under the control of various regional powers. Kugel points out that the people on the plain of Shinar were building not just a tower but a city, and it might have been the major urban center itself that was an affront to God, who preferred people being more spread out. And really, if you want to build a tower to Heaven, why start on the plains instead of on higher ground? Since the versions of the stories we have now were finalized after the Babylonians conquered Judah and destroyed the Temple, the Jews would have had particular reason to hate Babylon. 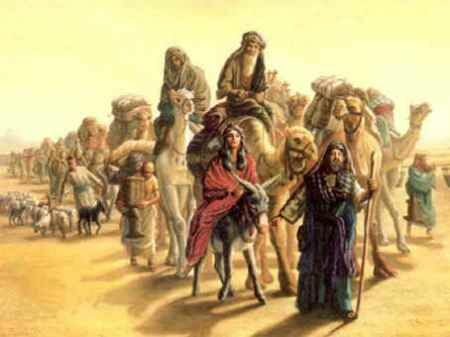 I also noticed that Abraham, Isaac, and Jacob, despite being described as filthy rich, were also nomadic throughout their lives. This was probably partially to tie these patriarchs to various significant locations in the area, but there might also be somewhat of a value judgment in favor of the wandering life over a sedentary one. 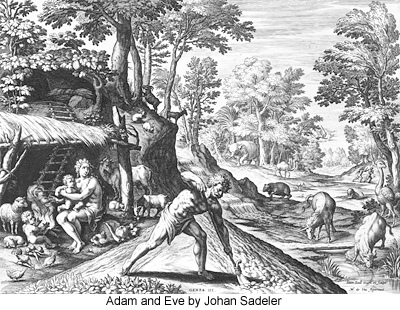 This entry was posted in Christianity, Ethnicity, Food, Gender, History, Judaism, Middle East, Mythology, Religion, Semitic and tagged abraham, adam and eve, agricultural revolution, agriculture, babylon, bible, cain and abel, cities, civilization, garden of eden, genesis, herding, how to read the bible, hunter-gatherers, isaac, israel, jacob, james l. kugel, judah, kenites, neolithic era, nomads, tower of babel. Bookmark the permalink.